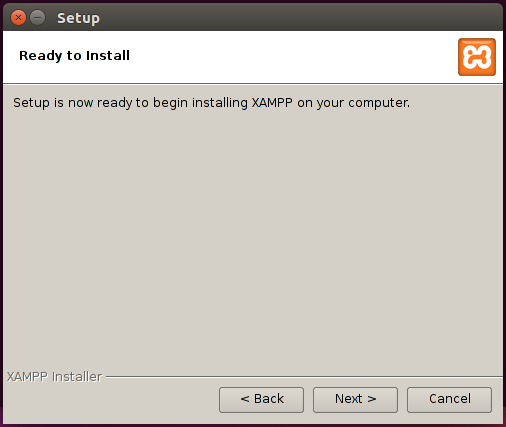 In this post we will see How to install XAMPP in Ubuntu 18.04 LTS. 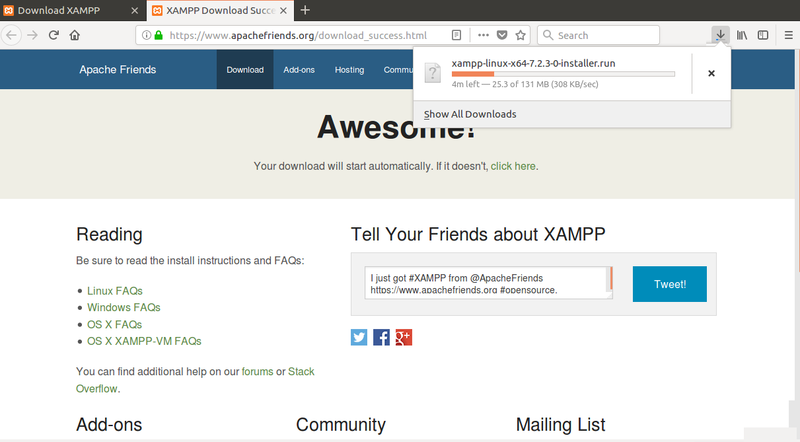 Open the link https://www.apachefriends.org/download.html in your favorite browser and download the latest version of LAMPP software that you want for Ubuntu Linux. 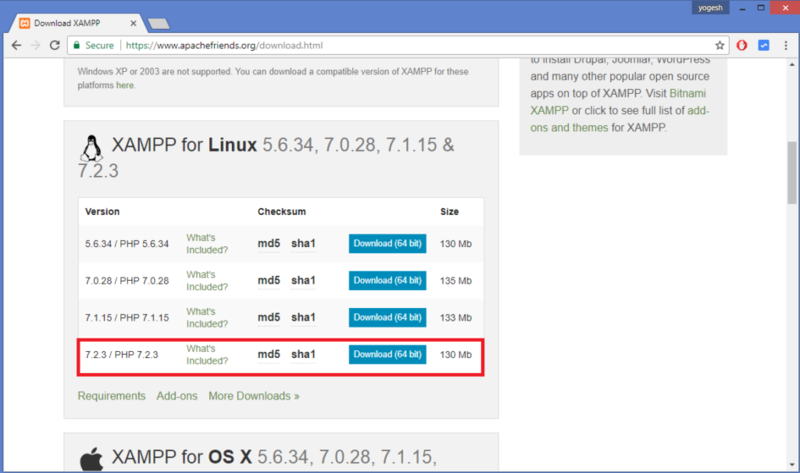 Note : The version of XAMPP you’ll download might be different, so change the version in this command accordingly. 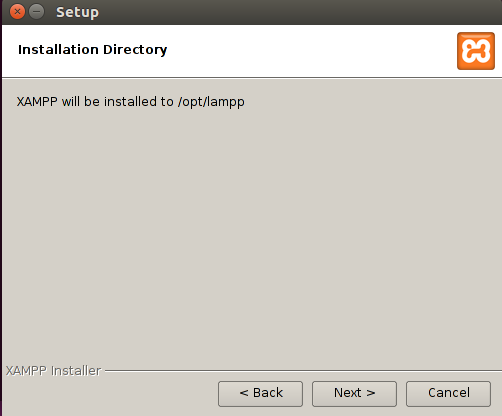 Run the installer, but don’t close the Terminal. 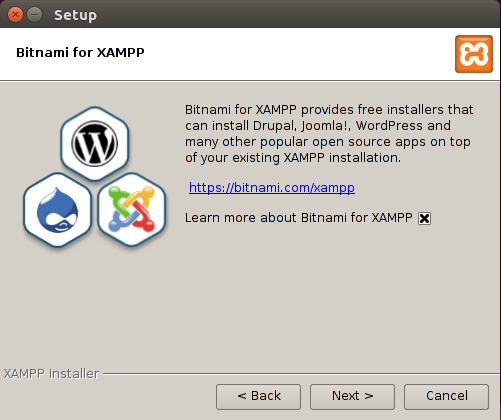 A installation set up dialog box will open. 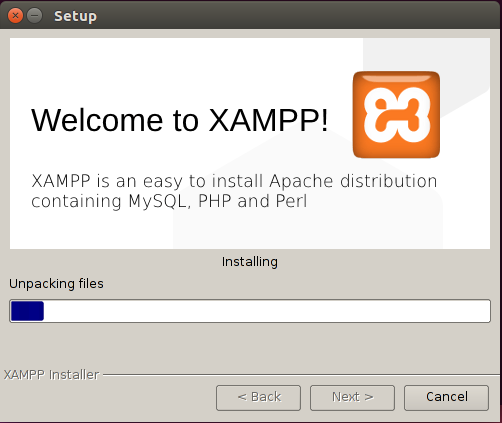 In the dialog box, click next(for each step) and move through the process of installation. 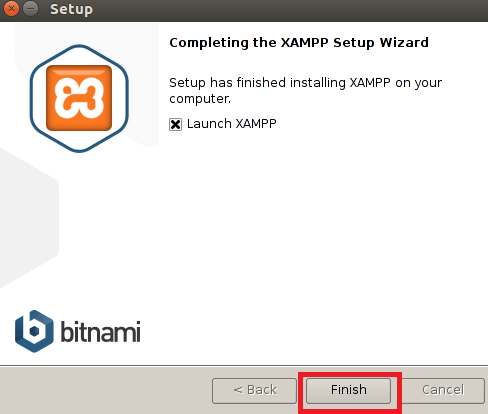 Once XAMPP is installed, click finish. 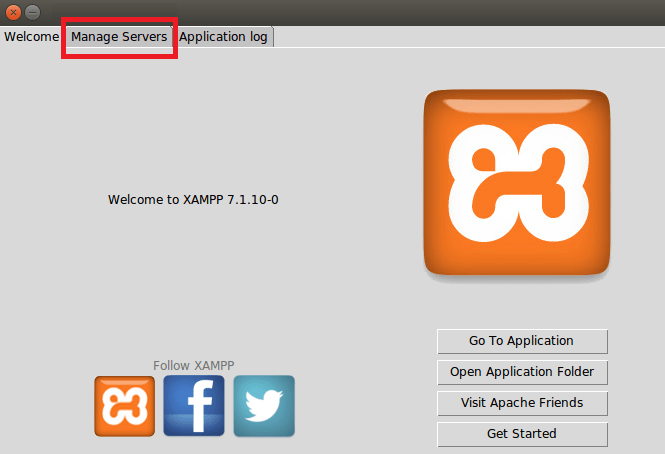 This will launch the Xampp control panel like shown below. Here Click “Manage servers“. Now start all three services by pressing start all button. 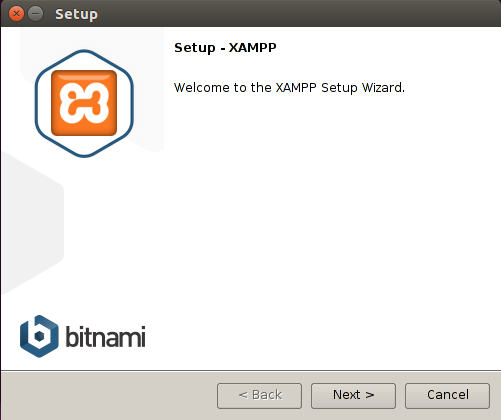 You can also use the commands below to run the Xampp control panel. 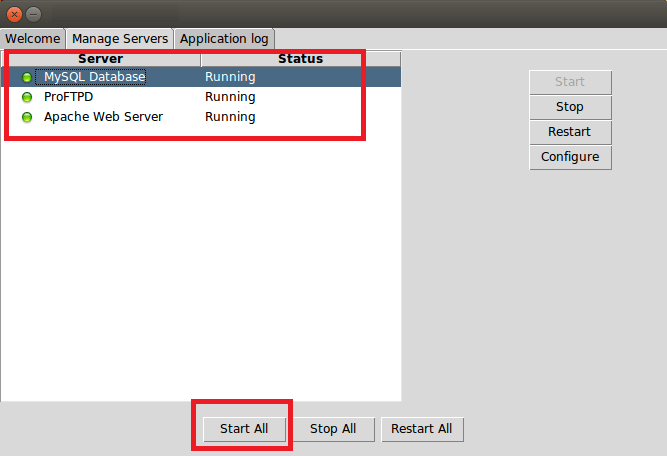 Once all Apache server is running . You can use the URL http://localhost/dashboard to open the Dashboard. 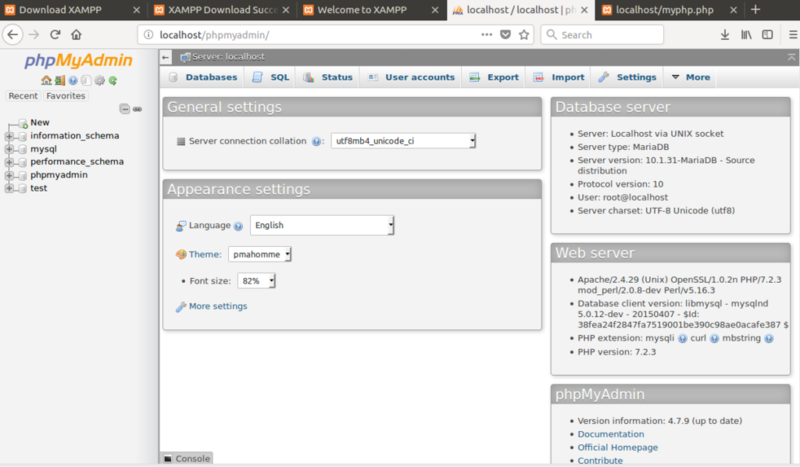 You can also verify if phpmyadmin is running by opening the URL http://localhost/phpmyadmin. 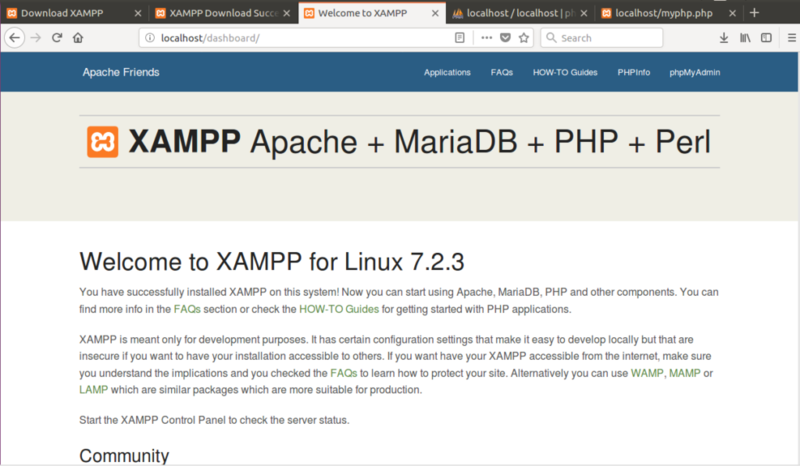 Now open the URL http://localhost/myphp.php. You will see Hello World printed on your browser. Press y + Enter. Then enter a new password and re-enter this password again to confirm.